EcoMobile on EcoMondo I OBJAVLJENO 14.11.2016. EcoMondo took place between 8 and 11 November 2016, in Rimini - Italy. There were 1,200 exhibitors and 105,504 visitors. 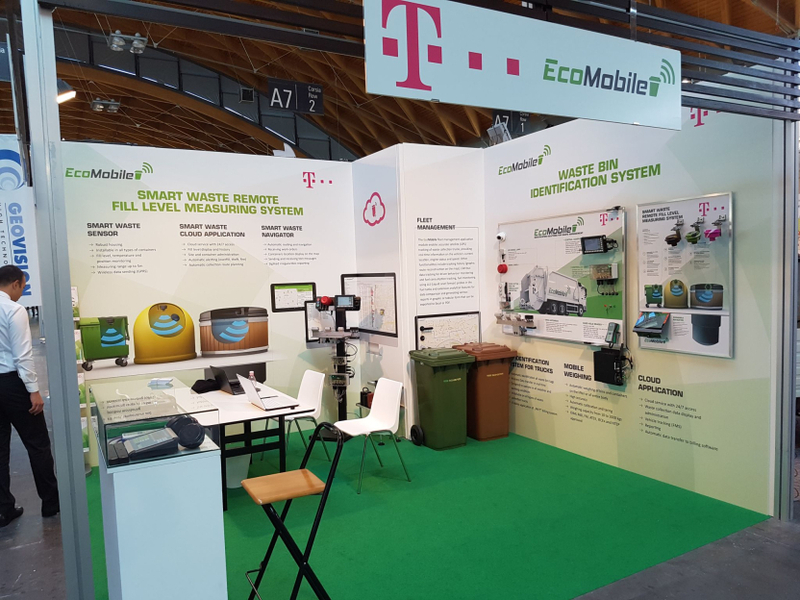 EcoMobile had its own exhibition stand on this highly frequented, specialized Waste Management Fair. EcoMobile presented its solution as a HT (Croatian Telecom) partner and evoked great interest from the side of a variety of clients and customers all over Europe.